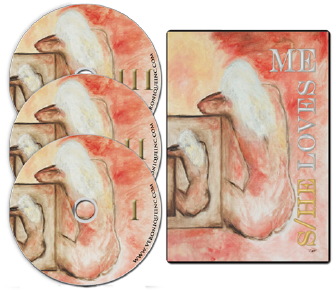 Move forward at your own pace with the S/He Loves Me audio, or the Pocket Companion. You would use these tools during stressful times of your day. 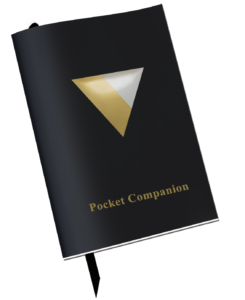 As you listen to the audio, or read the pocket companion you will notice your thoughts beginning to relax and give you a few extra moments where you can choose a different response instead of the normal reaction. As you listen to the audio more and read the pocket companion more, you will notice these extra moments becoming longer and longer until you naturally begin responding differently. These different responses will create less struggle dramas and strife in your life. The good news is that if you are committed to change, and are consistent, you will notice results quickly. For those that need a bit more support and want more ease in your life sooner rather than later. 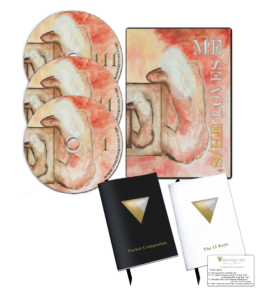 The Starter Package includes the S/He Loves Me Audio, The Pocket Companion and the 12 Keys. You get the benefit of both the audio and reading support to work on your subconscious mind, and a powerful tool that will turn destructive thoughts around and replace them with empowering thoughts in the moment they are occurring so you can begin permanently changing cycles of loss and struggle and begin seeing more joy and successes in your life. If want more clarity behind the subtleties of how unconscious subconscious beliefs affect your life and your level of ease and comfort that you could experience in your life this offer is the one for you. You will get the full collection which includes the Starter Package and The Choice Is Mine Volume 1 & 2. Volume 1 will work on your subconscious mind at an even greater level to invoke changes even more quickly. Volume 2 explains how we relate to life and how your thoughts words and actions influence what you experience in your life and what you need to do to change them in a more detailed level. This Volume was designed to answer the questions that may come up for you as you read the other books and listen to the audio. The next move is yours…. Will you choose Freedom? Start with freeing yourself today!